When you think about drugs in Thailand the first drug that usually comes to mind is Yabba because it’s always in the news. Yabba is a methamphetamine, aka crystal meth, in pill form that is crushed and smoked or snorted. Yabba is the drug of choice for the younger crowd but the older rural Thai’s have a yearning for stimulants as well and they not only use these stimulants they produce them. 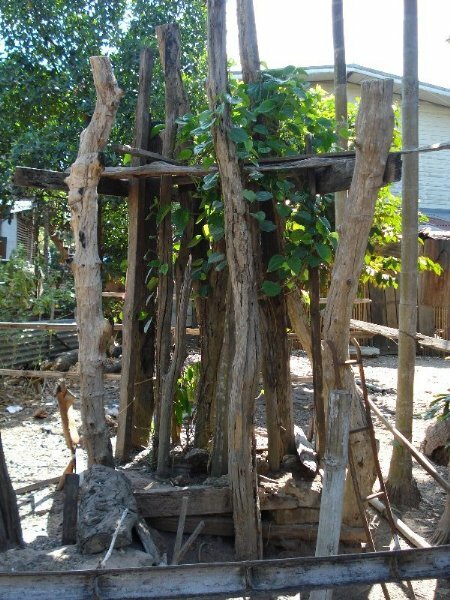 My first trip up country I noticed a tree at the back of Pookies grandparents house that was well tended and guarded by a thick lattice of lumber and wooden poles. I tried asking but never got far in my search for answers, although, the clues were all there. Grandma, who doesn’t get around good or far, makes her daily pilgrimage to this tree and another tree in the yard and then spends 30 minutes or so cutting the dried fruit of one tree and wrapping it in the leaves of the other tree. Then she places the finished product in her mouth and chews on it. Pookies other grandmother, who lives on the family farm in Nakhon Phanom, is equally challenged with getting around. At 86 she does little more than sleep, eat a little and make daily trips to her sacred trees. Watching her perform her daily ritual of gathering ingredients, then sitting down to combine them together with a mortar and pestle, tasting now and again and making sure the mixture is just right became my source of initial information. You’ve probably seen it yourselves at one point or another but had no clue. Old Thai ladies with a wad of something in their jaw, smiling with black teeth, and of course the glassy eyes. The drug they are using is often refered to as the Betel Nut but in actuality there is no such nut. 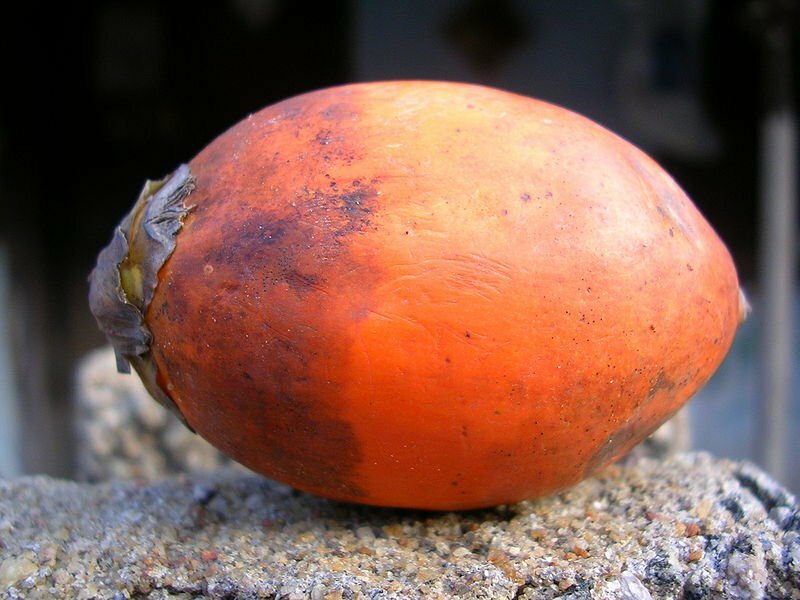 The betel nut is a mixture of the Areca Nut and the Betel leaf. The Areca nut ( Mahk ) and the Betal leaf ( Plue )are both mild stimulants on their own but when combined become a more powerful stimulant that is made into a chaw. 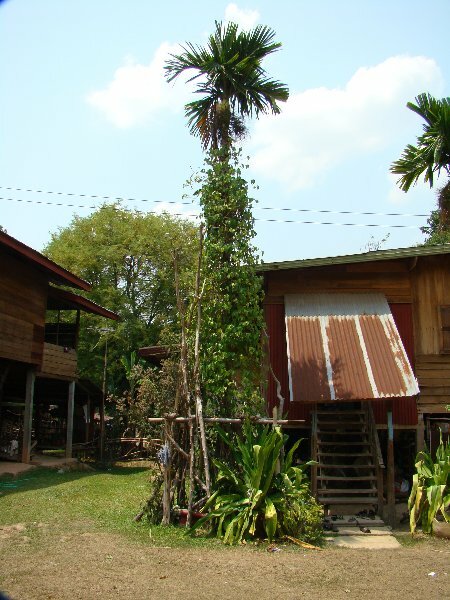 The betel vine needs something to grow on and the palm trees make a great host. The bamboo or wood lattice is used to help the vine grow and keep the vine protected from harm. 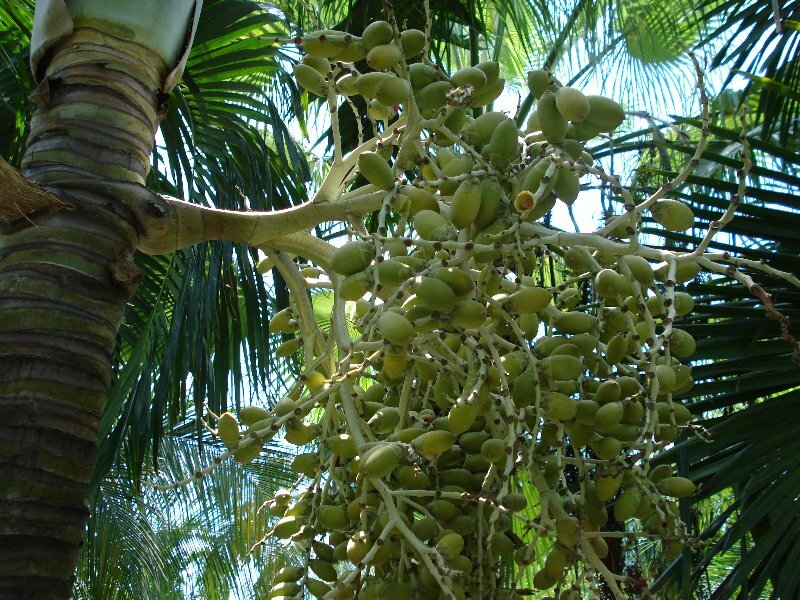 The Areca nut grows on, and is the seed of, the areca palm tree. The fruit is picked when it is green and then left to ripen to a nice brownish orange color. In actuality it’s not a nut at all but the inner fruit becomes hard and dried like wood when the fruit is ripe. This is what is used as the stimulant. The dried nut is sliced and wrapped in a betel leaf and then chewed in the case of grandma #1. Grandma #2 mashes these ingredients in a mortar and pestle along with several other ingredients which I confused as being added for taste. The other ingredients were lime, tobacco and chili pepper. Once sufficiently mashed up it becomes a chaw that she loads between her cheek and jaw. The lime, it turns out, is used to keep the active ingredients in their base form which facilitates absorbtion into the bloodstream. The chilli pepper along withthe alkaloid arecoline found in the betel leaf stimulates the saliva glands and in and of itself becomes a stimulant. This is also what causes dicoloration of the teeth to a dark red or black. The tobacco is for taste but also adds some nicotine to the mix. The combination of the areca nut and betel leaf is widely used in South East Asia and although no one knows where the practice began it is known that the areca nut has been used for thousands of years as a stimulant. 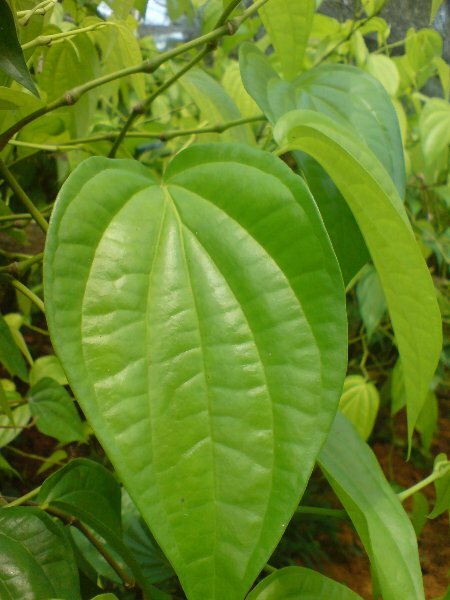 The inclusion of the betal leaf to the mixture is thought to be a more recent addition dating back only a few hundred years. Aside from the stimulative properties of the mixture it can can also be used as an antiseptic and a breath freshener. Unfortunately the mixture of these plants is also a widely known cause of mouth cancer especially when it is used in conjunction with lime and tobacco. Recent studies have concluded that the betel nut mixture on it’s own is a very weak carcinogen. I noticed a clear difference not only in how this drug was used by the two grandmothers but also why it seemed they were used. Grandma #1, although old, still gets around reasonably well and is generally in good health. She seemed more of a casual user just in it for the stimulative effect. Grandma #2 is not in good health and doesn’t get around well or much. Her usage seemed to be more medicinal to help keep her more alert and from sleeping 20 hours a day. A very informative post, Talen. Thanks, I enjoy reading this sort of stuff that explains and expands on things that we notice going on around us. Here in Phana, the use seems to be dying out. When I first came here it was the practice to set a spitoon (the little yellow bowl) next to each monk at a ceremony. Nowadays that is never done. I was staying at a Thai/Australian guest house in a small village in Sisaket province and noticed thousands of the areca nuts laid out to dry. Just about every house had some. It seems the fibre that surrounds the nut is used to make felt-tip pens, and an enterprising woman in the village collected all the fibre and sold it to a factory in Khorat. .-= Lawrence´s last blog ..Tetsaban Phana? No Problem, Sir! =-. Lawrence, Apparently Sisaket province is kind of like a hub for producing the areca nut. Supposedly a lot of areca nut are shipped to Japan every year. The use may be dying out across Thailand. I know in the provinces I’ve been in I haven’t seen anyone under 80 using betelnut. I had an American acquaintance in Borneo who took on the betel nut habit during her dozen or so years in Bali. I have a hankering for stimulants, but after experiencing the wad in her cheek and the stains on her mouth, I passed. 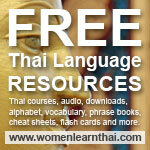 .-= Catherine´s last blog ..Interviewing Successful Thai Language Learners: David Smyth =-. Talen I have seen Wi’s grandmother chewing on this before, hers was the red variety. I didn’t realise the old girl was an out and out smackhead, I’m quite shocked. Next time I go over I will have to take her a few heavy metal albums and a tatty black leather jacket. Good post and you’ve educated me once again. .-= Martyn´s last blog ..Two Cakes and One Schizophrenic =-.